Teller is a minimal theme with a unique navigation. This layout gives your website few distractions, and puts the focus on what’s important—your content. 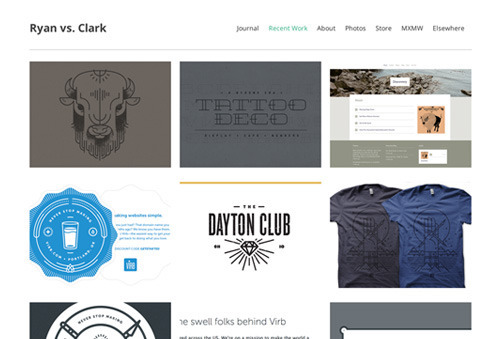 With this theme, you will have plenty of whitespace and a clear focus. Teller is percentage based, which means your website will be fluid and fit beautifully on any size screen. Whether you’re a writer, blogger, or want to show off your portfolio, Teller will make your content stand out from the rest! 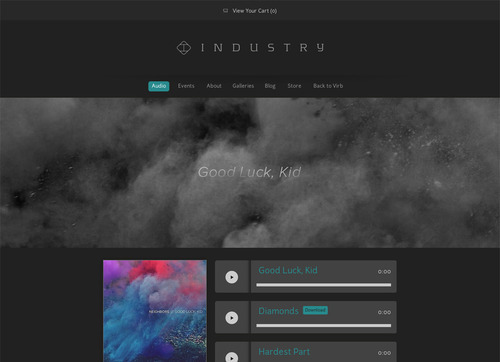 We hope you enjoy this new theme. Don’t forget to check out the Teller demo site or Log in and preview it on your own website today! 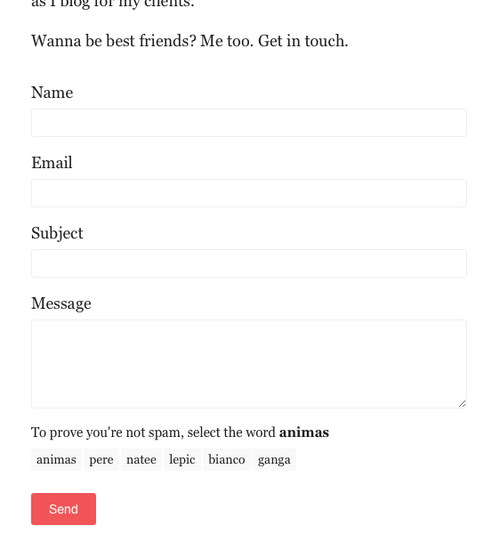 Have you been wishing there was an easy way to add a simple contact form to your Virb site? Well, wish no more—we’re happy to let you know that Contact Forms are now built into our Contact Pages. Just turn your form on in the sidebar of your Contact Page. It’s really that simple. And don’t worry about spam either. With form entry validation, submission throttling, and a user-friendly captcha built in, we promise to keep your inbox clutter-free. Try it out today and get all that fan mail you’ve been missing out on. Note! For all of you Virb users who’ve enabled Advanced Editing, you’ll need to manually update your theme for Contact Forms to work correctly. Check out our helpful doc on updating right here. Education has always been something near to our hearts, with almost half of the Virb team having taught at the collegiate level. We still love helping students, and today we’re happy to announce something that we’ve been wanting to do for a long time—the Virb Student Program. 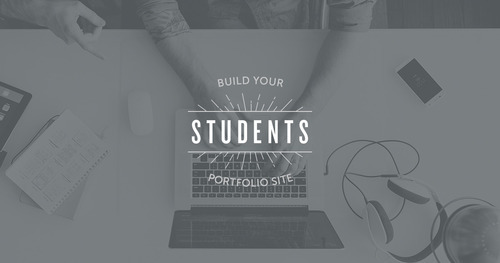 The current online portfolio landscape is filled with options that either cater only to professionals or truncate their themes and feature set for students. We’re changing that. Sign up with a valid .edu email address and your first year of Virb is on us, complete with all the features, themes, and integrations we offer. Take that time to craft a beautiful online portfolio, schedule those interviews, and go land the job you’ve always wanted (without paying a dime). We’re not just stopping there—we’re rounding out the program with curated classes from our friends at Skillshare that will help you create unique pieces of work, a portfolio review every semester with awesome prizes, and tips from industry pros that will help you present your work in the best light. Check out the program details or sign up and start building now. When you’re building something you’re passionate about, it’s easy to be consumed by the what— what images go in your portfolio, what wood makes the best table, what espresso makes the best cappuccino, what social media you should be engaged in. 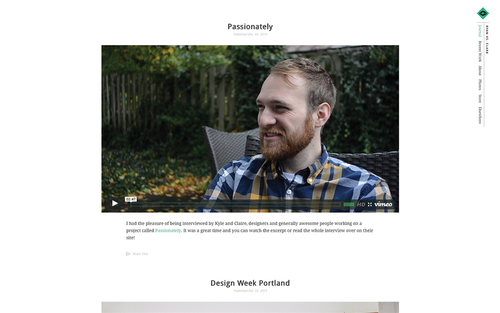 Building a product like Virb is no different. 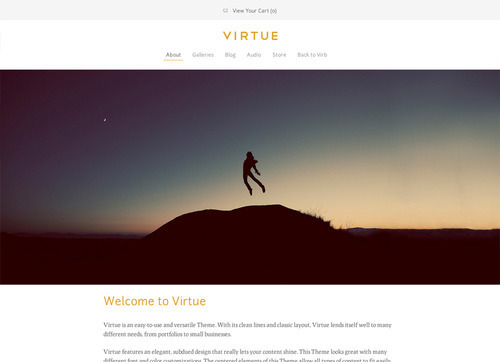 We’ve been working on this website builder for almost four years, adding new features and integrations, refining our themes, simplifying processes, rebuilding things, and planning a whole new slate of whats for this new year. But before our team got into all of that, we wanted to revisit why—why we build this product, why we want people to use it, and why it matters to our team of nine people scattered across the continental U.S. It would be easy to keep this all tucked away in our brains or print it on a motivational poster for our walls, but I wanted to share it with all of you—Virb customers, peers, and friends—because these are the beliefs that guide everything we do, and will continue to guide us in 2014 and beyond. There’s power in passion that’s guided by purpose, and we’d like to share ours. So why do we do what we do? We’re a team of designers, developers, engineers, and support staff that care about building the best websites and applications on the Internet. We day-dream in HTML, and we design new themes while mowing the grass. Making Virb is a part of who we are—and we love it. We’re constantly looking to craft creative solutions to the problems we’ve noticed with website building. We care about everything from the spacing of gallery items to the framework that displays your site on mobile devices to the infrastructure that makes your content load lightning-fast anytime, anywhere. I would wager that you’re as passionate about what you do as we are about websites. If we could build a product to put more hours in the day we’d do that, but instead, we’re determined to make sure you don’t spend your hours slaving away at a computer, learning HTML and CSS, or managing some complicated hosting plan. Because we are taking all the (tech) work out of website building, you can get back to doing what you really love—taking photos, running your business, making your new album, spending some quality time with your family—and not worry about whether your site will show off your content beautifully when someone visits it (or when you get linked to on Reddit or end up on The Today Show). We’ve worked at agencies building websites for Fortune 100 companies, but none of them were as fulfilling as helping design and build that site for our friend’s new indie film, or that blog for our editor-friend, or the store for our wife’s craft projects. The idea for Virb was born a long time ago after helping countless creative friends get their portfolios and projects online with one-off sites, and that is the same goal that drives us today. And we also knew there was a way to make website building easy and affordable—you shouldn’t have to sell hundreds of prints or freelance for a few months to pay for a custom-built site. Because we love our community. We love being a part of a growing community that’s dedicated to making great things—products, paintings, websites, albums, articles—and sharing them with the world. It’s a community full of talented people who have passion and drive, and aren’t content to let things come to them but instead strike out and create their own path. We want to see that creative community grow and flourish. We’re proud to be content creators, creatives, and makers, and to showcase others who are the same. In light of that, we’d like to know what you’re making. We’re working on a lot of new things here at Virb, and one of them is a new goal for our blog. We’re tired of talking about ourselves—instead we’re turning it into an avenue for you to share what you’re doing with the rest of the world. We’re also looking for customers to feature, and guest contributors, so send us an email or shoot us a tweet. We’d love to know what you’re passionate about. Thank you all for making Virb what it is today, and for joining us as we continue to craft what it will be in the future. Stay tuned—it’s going to be a big year. We’re always trying to find ways to make the website building experience at Virb easier. One of the hurdles we’ve noticed has been the disconnect between making edits and viewing them live on your site. Without a quick way to see your live site while editing, you’re forced to do the two-browser-tab-boogie. Well, put your dancing shoes away because we’ve just implemented Save & View. Now, when you make edits to any page on your site you can simply click “Save & View” and the page will save while your site automatically slides into view. Check your edits then click the bar at the top of the page to return to the one you were editing—simple. We’ve even included a handy URL so you never forget which page you’re viewing. We hope that this saves you a little time when creating and editing pages, and keeps you from having to toggle and refresh multiple browser windows. Now close those extra tabs and get back to building that site of yours! 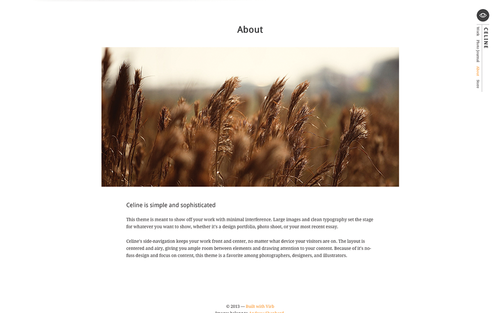 We’re happy to introduce you to a theme that embodies simplicity and sophistication: Celine. Celine is meant to show off your work with minimal interference—large images and clean typography set the stage for whatever you want to show, whether it’s a design portfolio, photo shoot, or your most recent essay. Celine’s side-navigation keeps your work front and center, no matter what device your visitors are on. The layout is centered and airy, giving you ample room between elements and drawing attention to your content. Because of it’s no-fuss design and focus on content, this theme should be a favorite among photographers, designers, and illustrators. Check out the demo site or log into your admin and try it out for yourself. We’re always looking for new ways to help you manage your site, give it the right personality, and connect it to the services you already use (and love). 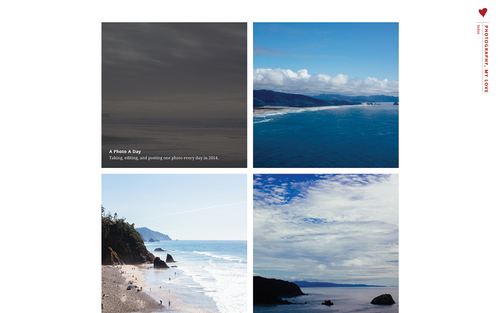 That’s why we’re proud to roll out some new features to Virb for Designers. We know that a lot of you have been asking for increased control over your site and its code, and we’ve been working hard to improve Virb in multiple areas that will help designers build the best sites online. Designers are busy, so we’re making it even easier to pull your work into your Virb site by connecting your galleries to Dribbble. You can just let the stream refresh automatically, or curate a set of shots that really speak to a specific skill set. On the style-front, we’ve added over 20 hand-picked fonts to our library, and we’ve also released a new theme, Discovery. 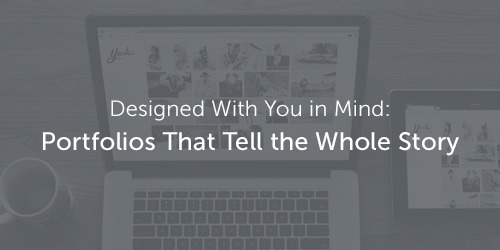 Now there’s even more options to choose from for increased control over the layout and typography of your site. 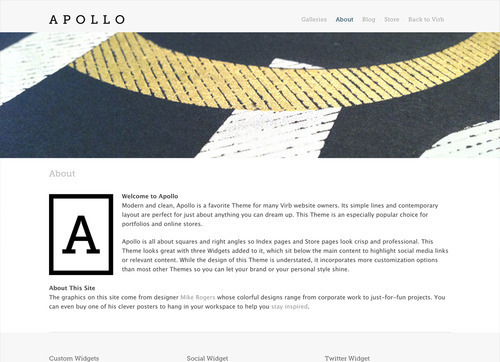 If your theme needs some extra customization we have something to help you there too. 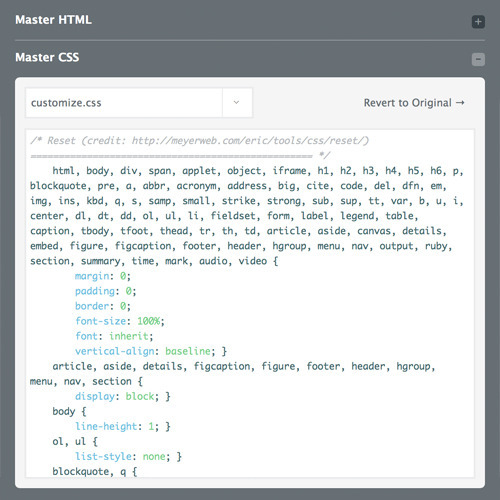 Now you can access your theme’s Master CSS in the Customize Panel—giving you full control over your site and its responsiveness. With complete control over HTML and CSS you can truly make your site your own.